1 Make IT Unreal: Beginning with the assumption that the impossible is possible helps students to learn “computational thinking” and frees them to take risks, to consider the design stage more closely, and to have fun. 2 Get Local: Try to see your local area with new eyes, as if you were a tourist visiting for the first time. You may be pleasantly surprised to discover just how much is noteworthy from a computing or ICT point of view. 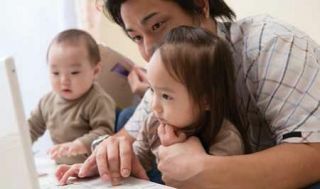 3 Involve Parents: It’s well recognized that parental engagement is crucial. What parent resources do you have? Could one of your students’ parents talk about technology in their career; teach a lesson on, for example, programming in the real world; arrange an exclusive visit; or provide materials? 4 Solve Real Problems: Spend some time brainstorming where students might find problems that technology could solve, identify whose problems these are, and analyze how technology might help. 5 Use External Organizations: From providing visiting speakers to offering educational resources, outside organizations can bring the real world to your students in the classroom. 6 Be Realistic: One sure-fire way to turn pupils off computing and ICT is to set tasks that are either unrealistic in themselves or that contain unrealistic elements. 7 Use What You Got: Even in a small school with a limited budget, what you “got” is your pupils and other members of staff. Are teachers in other departments using technology in their lessons in interesting ways? What extracurricular activities are your students involved in that could inject new ideas and thinking into addressing real problems through computing and ICT? 8 Use Online Resources: From online debates to a database of fictitious inventions to employer challenges, link to www.techlearning.com/oct15 for a list of Web sites to explore for good ideas and resources.